OK, I have been trying to figure out both who is the extremely talented Artist who did this AND in what city/country did he ( or she ) do it! But for now just please enjoy this incredible piece of ART! 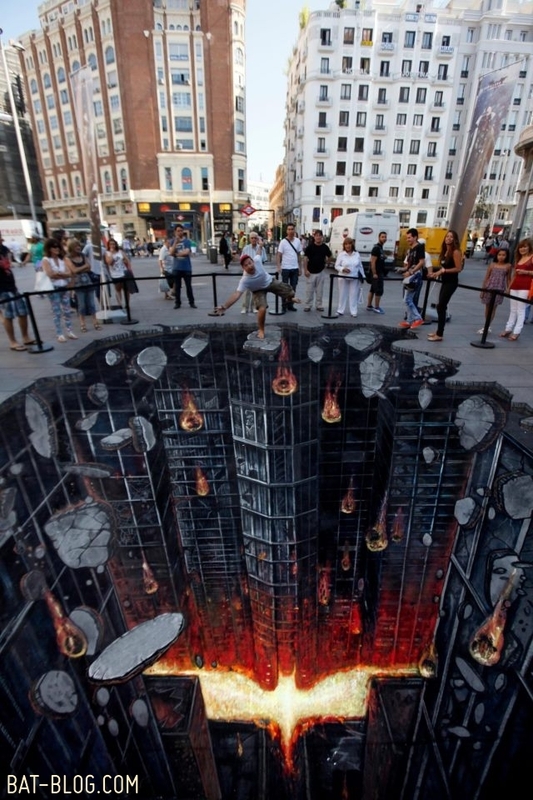 It's one of those 3-D Chalk Art things you see on the street that have an amazing special effect where it created a crazy optical illusion. Plus, it was obviously made as an homage to THE DARK KNIGHT RISES Batman Movie. Wow, just look at it, it looks so real! !